How do you say Halloween in Italian? How do you say Halloween in Italian? Halloween – that was easy, wasn’t it! That’s because Halloween, by and large, isn’t recognised as a festival in Italy. Sure, in lots of cities and towns now there are parties and events, but talk to any Italians and you’ll find that this is just another Anglo-American importation – a bit like Chinese communists celebrating Christmas for the craic. That’s not to say, though, that with closer examination there aren’t any Italian links to this festival celebrating the dead and the supernatural, or at least to some of the traditions associated with Halloween. The celtic festival of Samhain, which is correctly regarded as the origin of what we call Halloween, traditionally held on October 31st has its roots in the agricultural and planetary calendars; halfway between the autumn equinox and the winter solstice, traditionally a time to move from harvesting to preparation for the winter, it’s no surprise that Italy has some similar traditions based on harvesting, remembering the dead, and sharing food. Take for example the tradition of carving a face into a pumpkin, to be lit from the inside – known popularly in the english speaking world as a Jack o’ Lantern. This is a tradition presumed by many to be imported from America, but in reality there’s a similar tradition in many regions of Italy, though not associated specifically with either Halloween or the Catholic festival of the Giorno dei Morti. It’s no surprise really, given that the pumpkin is very much a part of the Autumn diet in regions like Emilia-Romagna, and Tuscanny. The museum, Casa di Zela, in the Tuscan parkland of Quaratta, for example points out that the pumpkins carved out, with a candlelight placed inside, in Tuscanny are known traditionally as la morte secca and were placed on roads to scare passers by. In Emilia-Romagna similar use was made with the title Luce Pellegrina. In Bormio, in the Alps, a pumpkin would be filled with wine on the night of the 2nd of November, for the dead who were believed to roam the earth for the day of the dead. The tradition of trick-or-treating, so associated with Halloween in English-speaking countries, has many similar practices in Italian folk-custom. FOr example, in Emilia-Romagna, in times past there was the tradition of la carità di murt, where poor people would go door to door, in this period, asking for food in the name of the dead. In Sicily it’s traditional to give gifts and sweets (often martorana – a marzipan shaped into fruits) to children for all hallows day. Halloween in Ireland was always marked by a great big bonfire, and if there’s one tradition that the Italians have close to their collective heart it’s the bonfire (or Falò) – though for most regions these are built for New Year’s Eve, where the old year gets burned away symbolically (Samhain, of course, represented the Celtic New Year’s Eve). Bonfires, though, are held at critical turning points in the year – so, for example, in Rimini the tradition is to build bonfires (La Fogheraccia) for the 18th March, near the Spring Equinox; Fellini used La Fogheraccia memorably as one of the key scenes in his most Rimini-centric films Amarcord; bonfires tied to the equinox are also held in the Val Trebbia in the North of Italy, with traditions dating back to pre-Roman times. It’s worth remembering, as well, that prior to the founding of Rimini, most of Northern Italy had a Celtic culture. Halloween nowadays, though, has been imported effectively into the bigger cities – and there’s always plenty to do. Rimini is of course no exception, always geared as it is for a party. 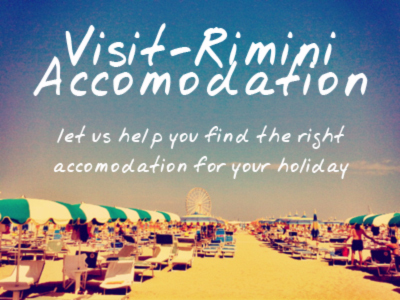 The theme parks around Rimini are a great place to spend the festival, with prizes and often free admission for kids dressed up, it’s probably the closest you’ll get to the anglo-american festival. Hopefully, though, thanks to this starting point you’ll be able to recognise just some of the rich folklore and traditions in places like Rimini marking the change of seasons. This entry was posted on Friday, October 31st, 2014 at 12:11 pm You can leave a response, or trackback from your own site.